THE LONDON LITERARY PUB CRAWL, WITH CHARLES DICKENS (DECEASED!) 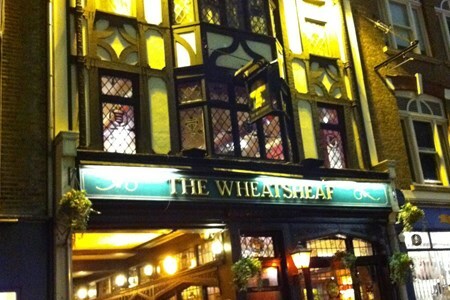 VISIT THE PUBLIC HOUSES AND TAVERNS THAT INSPIRED PREVIOUS GENERATIONS OF WRITERS AND ARTISTS. AND MEET DYLAN THOMAS,CHARLES ... moreDICKENS, VIRGINIA WOOLF, GEORGE ORWELL, ANTHONY BURGESS, T.S ELIOT AND OTHERS. AND SUPPORT NEW LONDON WRITERS! Sip it welcomes you to a wine tasting experience which provides a special and fun way to bring together your clients and colleagues. We host very diverse events and also work closely ... morewith our business clients to showcase wine tasting experiences. You can check our testimonials page to observe reviews from our clients concerning our team building days. Listed below is a sample of what you can anticipate, however, please make sure to contact us directly to consider your specific essentials. We can design a bespoke wine tasting escapade for you and your business. 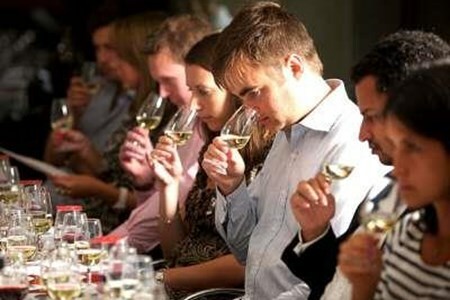 Sip it invites you to a range of stylish, fun and informative exclusive wine tasting experiences. These experiences are ideal for you and your event, whether it is a dinner party, ... morehen party, birthday or even a friends or family gathering. Though based in London, our company can cover most regions in South England. 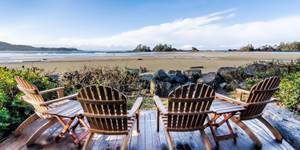 We offer four distinct experiences that you can choose from. We strive to work closely with you and your occasion to design a bespoke wine list. We can also design a unique theme as listed below. 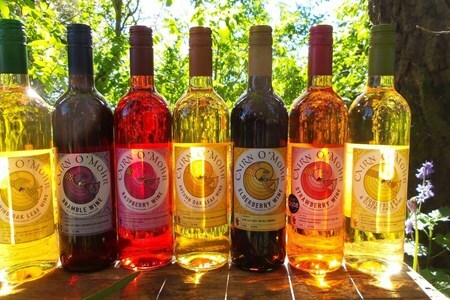 • A tasting tour through a selection of top quality wines. 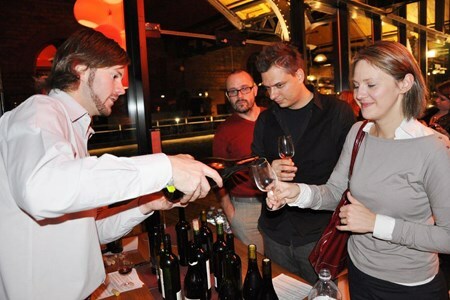 You will learn how to taste and to rate wine, as you discover your preference. • Interactive, competitive and exciting team rounds throughout that includes blind wine tasting. • A tasty matching food pairing as we compare how the ingredients in food influence the taste of the wine as you learn why specific foods pair perfectly with wine. You will never be lost with the type of wine to select for your next dinner party. This is a sample food pairing menu. Each matching is composed of fresh food of the day and is set as canapé type portions. The food matchings are highly endorsed for the wine pairing. All food matchings can be modified to satisfy all dietary requirements. We design bespoke day tours for families, groups of friends, or colleagues. 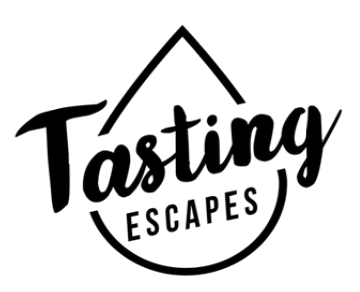 Whether you are organizing a client day out, we will take the stress away from you as we take you on an ... moreexciting and fun-filled day with wine tasting coupled with a bit of Gin! We welcome you to our deluxe tour, which starts with a welcoming glass of sparkling wine, and a compliment of gourmet crisps. 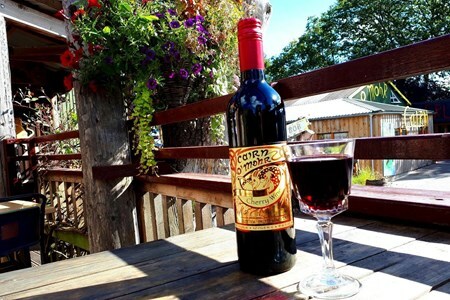 Your sociable host will acquaint your private group to ... morethe winery and will also briefly introduce you to its history. Afterward, you will take a walk around the buildings for an engaging insight into the winemaking procedure with practical demonstrations. After which you will head to the tasting rooms, where you can taste a variety of 8 samples of wine, 35ml each. This session will be accompanied by locally homemade oatcakes and Scottish cheeses. This tour offers you a sociable experience, where you get to enjoy time with your friends, and I would definitely advocate for a designated driver! We invite you to join us on a brewery tour in Birmingham, where we tour the Burning Soul Brewery, Rock and Roll Brewery. Afterward, we proceed to Pure craft Bar and Kitchen, located ... morein the city center, for a beer tasting masterclass session, to conclude the day in style. Our Bristol brewery tours pioneered in 2016. The day typically starts aboard HMS Hops, our fully licensed ferry, that is stocked with local beers on board. Hop aboard on the way to ... moreMoor Brewery for a visit of the equipment, with tasting sessions. The day concludes at Beer Emporium along King Street, for meats and cheeses accompanied with an additional 6 tasting sessions of local beers. 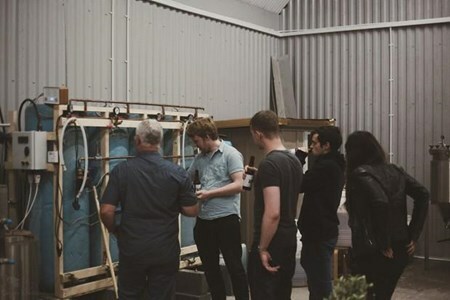 We invite you to our Leeds Craft beer experience, where you are taken behind the scenes over a number of locations in the city. We begin the day at North Bar, and head to visit North ... moreBrew. Afterward, we proceed to Tapped Brew Pub for tastings, followed by Bundobust for beers, then conclude at the tour at Northern Monk Brewery. There are much more tastings that await you. Convene inside North Bar, and not at the brewery. Take a walk to North Brewery for a tour of the equipment as you enjoy tastings of beer. Visit the Tapped Brew Pub for a tasting session. Grab a table at Bundobust, the Indian Street Food & craft beer joint, for a tasting session. In case you wish to buy food, you can pay for the meal. Here we will have time to delight in light bites. You will conclude the day inside the Northern Monk with a tour, and a goodbye tasting session. We invite you to join us in our authentic London brewery walking tour, that has captivated beer tasting enthusiasts since 2014. 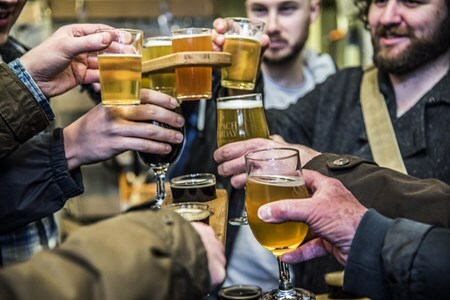 This tour offers you an opportunity to explore over ... more10 amazing British microbreweries and craft beer venues in one region. This amazing experience is definitely worth your visit! 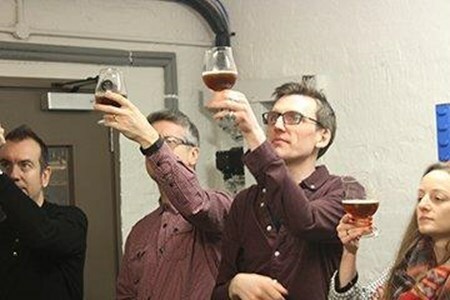 We invite you to join us on this authentic East London craft beer taproom tour. This taproom tour has been running since 2015. We will start off the tour with a tasting of East London ... moreBeer, paired with cheese. Afterward, we will head to a very unique East London bottle shop, where you can have a tasting session of local beers. We will end up inside Old Street Brewery, for more tastings, followed by a visit to the brewery to observe the equipment. Convene at the White Hart Brew Pub for a tasting session of One Mile End beer, initially brewed in the cellar, paired with cheese. Your guide will explain to you how the beers are paired with the food. Visit the legendary Mother Kelly’s bottle shop, where you can try a selection of beers available on the ever-changing menu. Your guide will explain to you about the techniques used to prepare the diverse selection of beers on offer. Conclude the tour at the Old Street Brewery, where we can sample extra beers, as we observe the brewing equipment. We invite you to our flagship London microbrewery experience, that has been running since 2014. 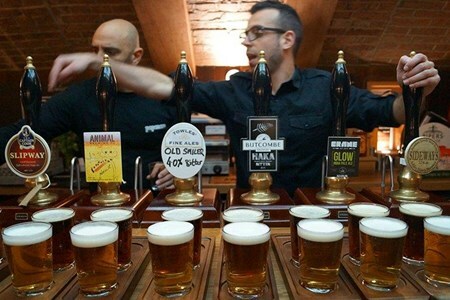 This tour takes you to the historic brewing area of Bermondsey. You will explore various ... morebreweries, where you will learn more about how beer is prepared. You will also tour the equipment, and get a chance to chat with the brewers, as you sample the beers, direct from the taproom! 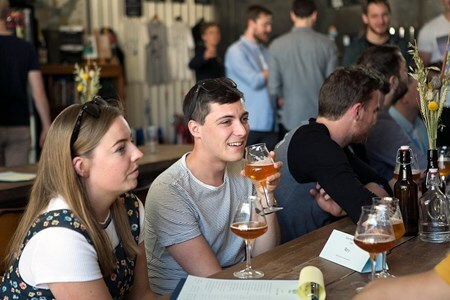 We invite you to join us on our Manchester Beer Tasting Tour, where a professional guide will take you through the Manchester brewery taprooms. You will get a chance to sample a drink ... morein each stop on your way. 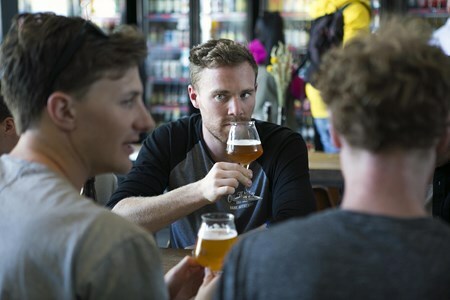 This tour will enable you to discover excellent beers on this amazing walking tour. Convene upstairs at the Piccadilly Tap and stroll to the first stop. Depending on the day of your tour, we will proceed to Runaway Brewery, Unit101, Marble Arch, Manchester Brewing, Beer Nouveau, Alphabet, Cloudwater, Track, ShinDigger or Blackjack. We will tour a minimum of 3 joints, where we shall have drinks at each stop. We invite you to our Cheese, Meat and Beer Tour, which takes place every Saturday. 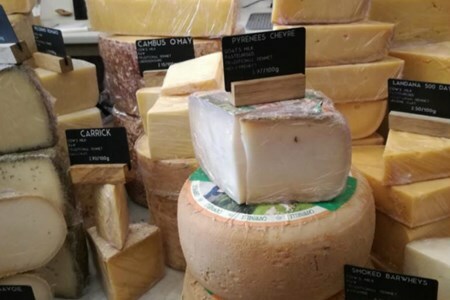 This tour grants the guests a chance to sample high-quality British cheese, and charcuterie products. ... moreYou will also sample assorted beers in various regional breweries. We will get a chance to sample soft and hard cheeses, chorizo, Salami, as we pair them with typical styles such as IPAS, pale ales, or stouts. This tour focuses on showcasing top quality British produce. 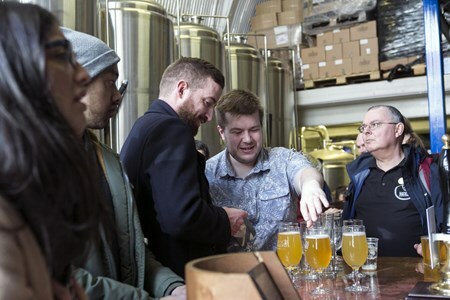 Convene inside the Southwark Brewery, where your guide will welcome you with a drink to kick off the day. Proceed onto Anspach and Hobday, for a chance to sample the cheeses, served in tasting paddles. Sample British charcuterie with tasting sessions at the Bottle Shop. Conclude the beer tour inside Brew by Numbers, as you enjoy a beer to end the day in style. We invite you to join us on our Street Art tour in Peckham. This street art tour was launched in the Summer of 2015. 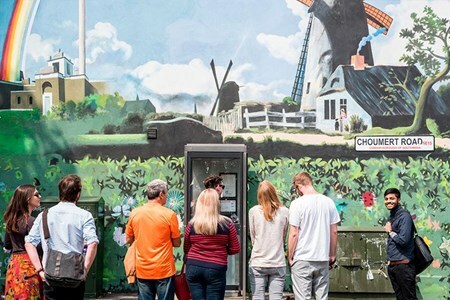 You will spend approximately 2 hours strolling around the streets ... moreof East Dulwich, and Peckham, observing some of the striking pieces of street art from celebrated artists such as Remi Rough, Conor Harrington, Phlegm, Mehdi Ghadyanloo, and Walter Kershaw, amongst others. Afterward, you will head onto Brick Brewery, to enjoy a beer as you conclude the day in style. Convene outside the Peckham Rye Station, where your guide will be waiting for you. Stroll around the streets of Peckham, and East Dulwich, as you appreciate the stunning pieces of street art. Discover the inspiration behind the pieces of art and learn how they are connected to the ancient masters. Locate the Dulwich Outdoor Gallery and learn about how the project was established. We invite you to join us on our Manchester brewery tour, which was launched in 2016. 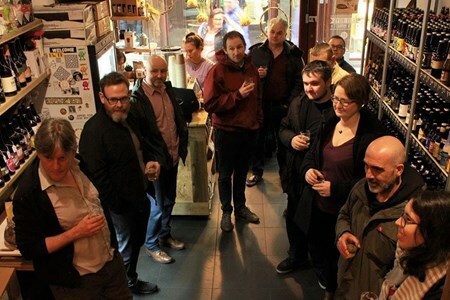 This tour will grant you an opportunity to visit several unique breweries, that are obscured away ... morein Ardwick and Ancoats. This location is just a short distance away from the Piccadilly Train Station. Here we visit the equipment, where we learn more about the brewing techniques, as we enjoy plenty of tasting sessions along the way. • Convene upstairs at the Piccadilly Tap and take a stroll to the first stop. 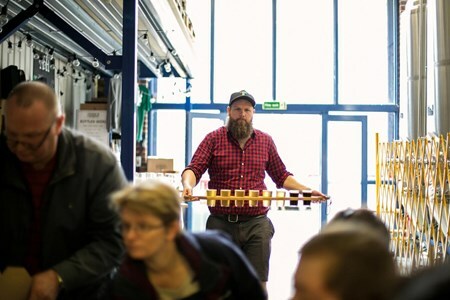 • A tour of the equipment and tasting sessions at Beer Nouveau brewery. • Visit and delight in tasting sessions at Alphabet Brewery, where you may also visit the UNIT 101 bottle shop. • Conclude this amazing tour at Track Brewery with a parting drink. Alexander McCall Smith, a local author expounds this part of Edinburgh as “bohemian”. This tour will enable us to explore this distinctive and eclectic side of Edinburgh. In the last ... moreten years, this alley has attracted a wave of small independent shops, restaurants, cafes, and bars, all clustered in one area. We will literally begin at the top and work all the way down. This tour is light on strolling and weighty on eating. This experience does not include lunch, as we will be ‘grazing’ the entire afternoon. There will be a minimum of six food and drink stops from the typical haggis veggie or meat with a regional ale. Also available will be the west coast mussels prepared to order with cider and bacon. You will appreciate the amazing marshmallows with special flavors, being harnessed to sugar, cream, scones jam, and a single malt. A minimum of 6 food and drink stops, therefore, no need for lunch. Savor the fluffiest marshmallows, prepared on the premises from salted caramel, tonic and gin flavors. Veggie or meat haggis in a typical pub, if you have doubts with the haggis, you can savor the animal-friendly, luscious vegetarian version prepared on the premises, served with a homemade red onion sauce. Explore the Georgian architecture. Edinburgh boasts the greatest Georgian city in the world, you will definitely be amazed by its magnificence. Enjoy a Traditional afternoon tea, with scone jam and cream, served in a classic tea shop. This is an ideal tour for people who love local food, meeting the local producers and shopping! We will kick off the tour with a freshly cooked scone, direct from the oven, with homemade ... morejam. Afterward, you will cross over the road, to meet the butcher who smokes his own game and then meet the fishmonger to taste his smoked salmon, prepared on the premises. This sampling escapade will then take you to the chocolate shop, where you can sample the amazing flavored chocolates, from the Isle of Skye sea salt to lavender. You will also get a chance to relax as you sample an assortment of specially curated Scottish cheese. You will conclude the experience with a dram of a single malt in an erstwhile Georgian coach house. A minimum of 5 food and drink stops, therefore, hold back on breakfast! Organic chocolate sampling, you will taste a natural hot chocolate; - the drink of the Aztecs. Guided cheese tasting session of at least 4 Scottish cheeses, at the iconic Iain Mellis cheese shop. 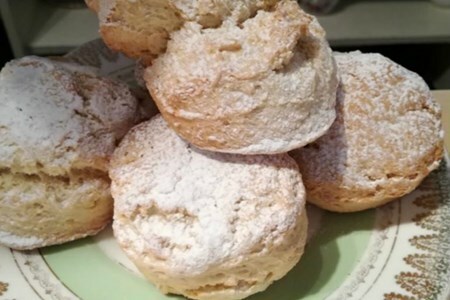 Savor piping hot scones, served with homemade jam, and tea or locally roasted coffee. Try Smoked salmon, smoked on the premises. Come and spend two valuable hours in the afternoon, where you swill gin, and sample flavored food and inspired by gin. You will take a gentle, gin-tinted stroll through Edinburgh’s ... moresplendid modern streets. This event offers you a minimum of four gin distilleries in Edinburgh, where you will sample plenty of juniper-based spirits. We will kick off with a welcome drink of Edinburgh, a Gin liqueur, and fizz, selected from a collection of delicious locally produced gin liqueurs; - rhubarb and ginger, plum and vanilla, raspberry, or elderflower. Afterward, we will tear ourselves away to next door for the ultimate gin, and marshmallow event, by the Marshmallow expert. We will then stroll through the beautiful Georgian streets, learning about the impact of gin, during 18th and 19th centuries from Edinburgh to Stockbridge. We will try a Pickering’s gin cured salmon, with a gin and tonic chocolate from Edinburgh’s top chocolatier. We will conclude the event in one of Edinburgh’s best gin joint, for a Highland-distilled gin and tonic packed with flavors of rowan and heather. Edinburgh Gin Liqueur and fizz, selected from an assortment of delicious locally made gin liqueurs. 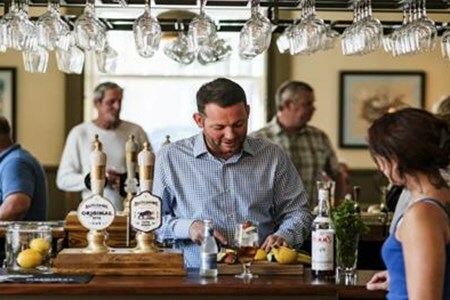 A gin-tinted stroll through the beautiful modern town streets, where you walk past lamps, lit by a lamplighter, as you sneak to check into the impressive drawing rooms. Sample Pillow-soft marshmallows, with chocolate in a new format; - marshmallows and chocolate, Gin and tonic. Pickering’s gin-cured smoked salmon, encounter the man who smokes and marinates Shetland-caught salmon. 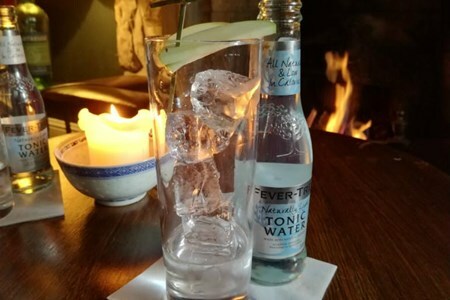 Gin and tonic in one of Edinburgh's best gin joints, where you will try a Highland gin served with apple slices, to eliminate the delicate flavors, and a Fever Tree tonic. 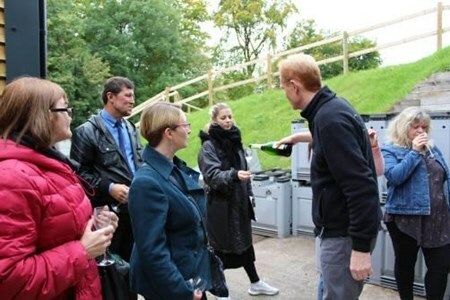 Find local tasting tours & activities in England, United Kingdom. Sort by location, theme, tasting, activity, day, duration, price etc.